Just finishing off the last touches to a Professional Coaching Company from UK. A great company providing a space to think, reflect and move forward. We can all do with this. 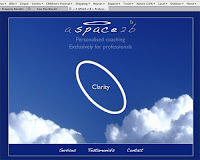 Personal coaching is a fascinating and very productive area and its been a really good experience designing this site. 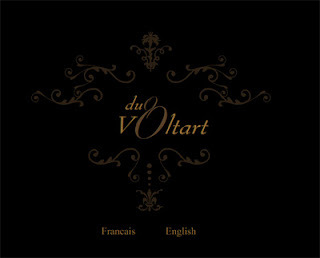 Working on Duo Voltart's new web site.It should be live soon, hopefully before christmas. In the meantime here's a teaser of the opening page. Have been working on Sharon Mahoney (An exceptionally funny woman from BC) dot com. Its not my design but I have been fulfilling empty promises from another designer. The site is all flash based and its fascinating to work on a site that has been created by someone else. I always knew the importance of good code and good site building but when looking into someone else's design it makes you realise whats on the outside may not reflect what's on the inside. Although the closer you look on the outside (this being the interface of the site) the more you realise that you actually can tell what's on the inside (How its been built). So its been an education and a complete affirmation of my ideas and ideals. If you dont do it properly first time its a frigging nightmare to work on it again. Having said this its also been a joy and that is because of the client... That's why i love designing, re designing, coding and creating. You always learn something new and its great to make people happy. I realise there is a lot of crap out there... but then I'm sure you do as well.